When a Slough Aerials & Satellites engineer knocks, ready to fit your set-top box or fix your satellite dish in Oxfordshire, you can be sure you’re in safe hands. 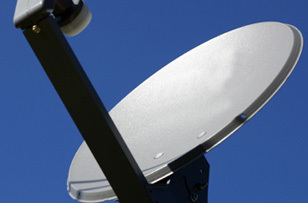 Our team are experts at all things satellite TV and digital aerial related. Freeview. Sky-Q. BT Vision. Foreign language services. You name it, we know it. Hotbird. IRS. YouView. Freesat. The list goes on. And our team is ready to serve business and domestic customers from Abingdon to Banbury, Henley to Thame, Oxford to Bicester and everywhere else in the county. We’ll upgrade old systems and set-top boxes, realign satellite dishes and digital aerials if they’ve succumbed to storm damage, and install whole systems from scratch, adding extra sockets so you can enjoy Sky Multi Room, even providing all the hardware you need. One call to Slough Aerials & Satellites does it all. We’re quick – Our same day service is popular. So too our fast quotes and 95% completion rate of jobs on the day we start them. We’re qualified to work at height – satellites and digital aerials often need to be high to get the best signals. We’ve got the ladders and the qualifications to work wherever you need an installation or repair. Here to find out about our Sky and Sky-Q installation, repairs and upgrades service? Our Engineers know all about the UK’s most popular satellite TV service, as well as Freesat, Hotbird and the foreign language systems. We’re also ready to get into hard to reach places, even those at dizzying heights to install or fix your satellite dishes. Back down on the ground we can also supply all the kit you need for your installation, including the set-top boxes and talk you through how it all works. We’re also quick to quote and to get to addresses across Oxfordshire. So call us first. 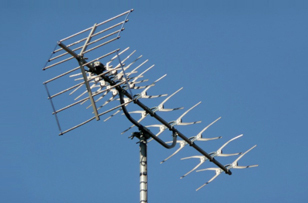 Fans of Freeview and other digital services that require an aerial – BT Vision, YouView, NOW TV, to name just a few – are also fans of the quick, reliable and professional installation, repairs and upgrade service we provide here at Slough Aerials & Satellites. Maybe it’s our Same Day service that wins people over. Or the bravery of our Technicians who’ll take on tricky jobs others might refuse. Or it’s the competitiveness of our prices. Chances are it’s all three. 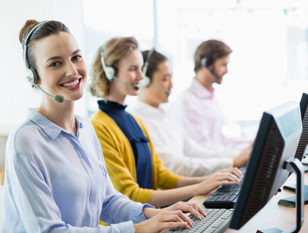 Call and see if we’re as good as customers say we are.